Book tickets: Manchester Psych Fest 2017 ft. Teleman, Flamingods & Ryley Walker. 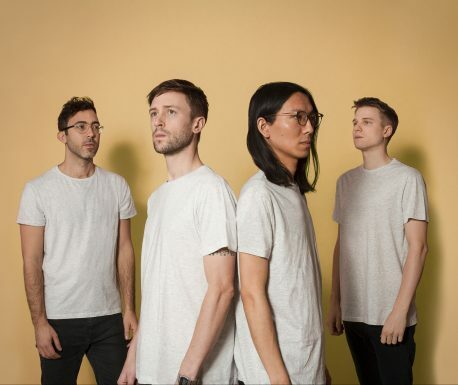 Synth peddlers Teleman have been announced as the headliners for a stellar edition of Manchester Psych Fest, now in its fifth year. With guitars primed and drumming patterns set to intense, the London-based band enjoyed critical acclaim across the board for last year’s LP (their second), entitled Brilliant Sanity. Their supporting cast of psychedelic rockers arrive with amp distortion cranked up to psych, and shows take in three of the Northern Quarter’s most famous live music establishments – Band on the Wall, Night & Day Cafe and Soup Kitchen. Manchester Psych Fest sees them all clubbing together to bring Flamingods, Ryley Walker, Bo Ningen, Menace Beach, Sulk and Evil Blizzard to the city. Local tunesmiths announced so far include TVAM, Mother and Inland Taipan. As well as the best in krautrock, mind-warping polyrhythms and warped soundscapes, the festival has unveiled a special commission to create a series of visual installations across the venues. Revellers will experience multimedia responses by the designer and illustrator combo of Louise Rivett, whose past psychedelic eye-openers include work at Cosmosis Festival, and Jane Bowyer, one of the artists behind the Women in Print project, whose scene setting creativity is funded by Art Council England with the aim of addressing the gender imbalance within the genre.